Several of our handicappers turned a healthy profit Wednesday and there’s plenty of action coming up Thursday as well with the NBA, NCAAB and NHL in full swing. 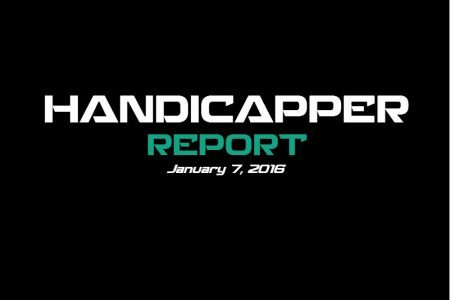 Take a look at some of our hottest handicappers at the moment and pick up a subscription to start the new year as a winner or use our Free Picks to take advantage of a ton of freebies on a daily basis. Tony Bucca destroyed the books Wednesday with a massive 8-2 +$597 day. A handicapper since the early 90’s, mentored by the pros while discovering a great talent for picking winners, you can always cont on Tony to deliver the goods. Miguel DaSilva have turned a $1,178 profit over the last seven days which includes a +$395 Wednesday. Being a high volume handicapper DaSilva will make sure you’ll be in action throughout the day and across various sports. Rob Vinciletti has earned $100 bettors a total of $2399 over the last 30 days. He is one of the top analysts in the World over the last 24 years and right at or near the top in Every Major sport. Rob leaves no stone unturned, every game on the board is thoroughly analyzed. Mike Lundin is 4-1 with his NBA Free Picks since the turn of the New Year and off a 3-1 Wednesday with his premium selections. Check out his freebie for Thursday featuring Atlanta Hawks vs. Philadelphia 76ers. The Philadelphia 76ers opened a six-game homestand with a 109-99 win against Minnesota Monday as Ish Smith scored 21 points in 9-of-16 shooting. He’s averaged 18.0 points and 8.3 assists in his first three games with the 76ers giving them a massive boost on offense. The over is 4-0 in 76ers last four at home, and I expect to see a high-scoring affair when they host the Atlanta Hawks Thursday night. The over is 9-1 in the Hawks last 10 overall and 7-0 in their last seven after allowing 100 points or more in their previous game. They’re off a pair of high-scoring defeats to the Knicks, and they’ve looked anything but solid on defense of late surrendering an average of 111 points in their last three games. – Mike Lundin has two NBA winners lined up Thursday. Get them both with his NBA *DOUBLE DRIBBLE* package.